Are dues contracts like gym memberships or First Amendment violations? Some teachers and other public employees are complaining their unions are wrongly continuing to collect union dues — despite a U.S. Supreme Court decision last June that said public workers are no longer required to pay fees to the unions representing them. The California Teachers Association says that these disgruntled workers, like other union members, have signed annual contracts to pay dues to the CTA and local affiliates. The CTA asserts that the agreements, which have had the effect, for now, of pre-empting a drop in memberships and revenue, are, like other contracts, legally binding and don’t abridge free-speech rights. Soon the CTA and other public unions in California and nationwide will find out if they’re right. Last week, a teacher at the Porter Ranch Community School in Los Angeles sued United Teachers Los Angeles, along with Los Angeles Unified and the state of California, to stop collecting her dues and refund the money she has paid. Irene Seager became the latest plaintiff in eight lawsuits that anti-union legal organizations have filed on behalf of teachers in California pursuing claims raised by the Supreme Court’s decision in Janus v. American Federation of State County and Municipal Employees. In that case, the court, breaking a 40-year precedent, ruled that public employees unions violated employees’ free speech rights in forcing them to pay “agency” fees, which cover the costs of bargaining and representing them — as then required in California and 21 other states. For the most part, the decision dealt only with those agency fees, not with the additional money that full union members pay to cover other non-bargained benefits and the costs of lobbying and donating to candidates. Public employees already had the right to decline union membership and not pay the additional money beside the agency fees. Agency fees averaged about $650 annually, roughly two-thirds of full union membership in the CTA. Following Janus, public employee unions immediately stopped collecting agency fees from non-members, whom the CTA said made up fewer than 10 percent of the state’s 300,000-plus teachers. But more than the loss of that revenue, the CTA and local unions worried that a potential exodus of union members would weaken unions’ influence. A victory by the plaintiffs in the latest spate of lawsuits could hasten that erosion. Even before the conservative Supreme Court’s Janus decision, the CTA and other unions in California adopted a strategy to mute the expected decision’s impact. They created a new membership form to enroll new and current members in annual, renewable dues arrangements. The contract commits members to full-year dues and automatically re-ups membership unless a worker signs a letter opting out within 30 days of the anniversary date of signing. Other unions in California and nationwide, like the Service Employees International Union and the American Federation of Teachers locals representing college instructors, allow only a 15-day opt-out; some unions tie the continued payment of dues to bargaining agreements covering two or more years. The National Education Association alone faces four-dozen Janus-related lawsuits nationwide, Juran said. Anticipating both the Janus decision and tough bargaining with Los Angeles Unified, UTLA launched a recommitment drive last spring, successfully persuading most teachers to sign a membership card and an annual dues contract, union President Alex Caputo-Pearl told EdSource. Now, the timing of the anniversary date of the dues contract appears propitious for UTLA, coming on the heels of a successful strike ending in an agreement that 80 percent of members endorsed. Seager and Tommy Few, another teacher in Los Angeles Unified who filed a similar lawsuit last fall against UTLA, were among the teachers who signed the commitment forms last year. But now, post-Janus, they’re suing, arguing that the contracts violate their First Amendment speech rights — the same argument made in the Janus case. They’re asking a federal court to throw out the contracts and the 30-day opt-out period and to repay them for back fees and dues. The National Right to Work Legal Defense Foundation, based in Washington, D.C., filed Seager’s case as a class-action lawsuit. Staff attorney William Messenger said the case is grounded in the next-to-last paragraph in Justice Samuel Alito’s majority opinion in Janus (see page 53), in which he broadened the implications of the ruling. Before any money is taken from them, Alito wrote, employees must “clearly and affirmatively” consent to waive their First Amendment rights. Teachers who signed the dues maintenance contracts were not told that’s what they were doing, Messenger said. And an automatic dues renewal outside of a narrow window of opting out violates the same principle, he said. Juran of the CTA disagrees with Messenger’s broader interpretation of Janus and characterizes the lawsuit as a contract, not a First Amendment, case. All of the claims involve settled law, she said. “Maintenance of dues contracts,” as they are called, have been upheld in state and federal courts, which ruled that employees were free to agree to sign up for them. “There is no plausible argument of coercion,” she said. Juran said dues commitments provide predictable finances needed for planning — one reason courts have validated them. 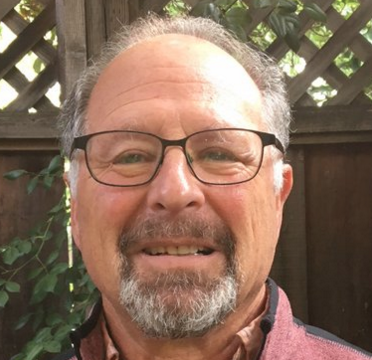 San Jose Teachers Association President Patrick Bernhardt added another rationale, likening the agreement to the annual sign-up period for the Affordable Care Act. Just as the insurance system’s costs would rise if people could seek medical care only after an accident, it would be unfair and more expensive to other members if teachers could drop in and out of a union only when they needed legal help or wanted a members-only benefit, he said. Few’s case, brought by the conservative California Policy Center, based in Tustin in Orange County, goes one step further. It wants the court to reject UTLA’s status as the exclusive bargaining agent for all district teachers, enabling individual teachers like Few to negotiate for themselves. “If I could represent myself, I would get a better deal” than UTLA, Few said in an interview earlier this year. Duran, of the CTA, dismisses that position as extreme. Beside being impractical and inefficient, Duran said ending the right of exclusive bargaining would turn decades of court decisions on their head. A spot survey late last year by EdSource of the state’s largest school districts showed, with a few exceptions, there was little change in the percentage of credentialed teachers who paid dues to their unions between June, before the Janus decision took effect, and early November. 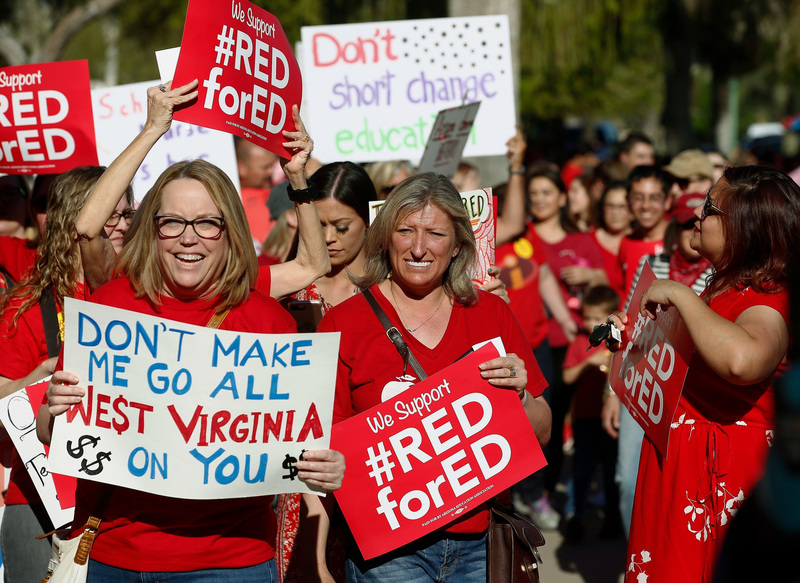 Union membership remained 98 percent in San Ramon Valley Unified in Contra Costa County, dropped less than a half-percent, to 93 percent, in Poway Unified in San Diego County and remained constant at 94 percent in Bakersfield City School District. Union membership in Fresno Unified reached a high of 97 percent pre-Janus and was 94 percent as of Nov. 1. Only 27 of the 300 non-members have left the union; the rest are new teachers who haven’t yet signed up, said union President Manuel Bonilla. 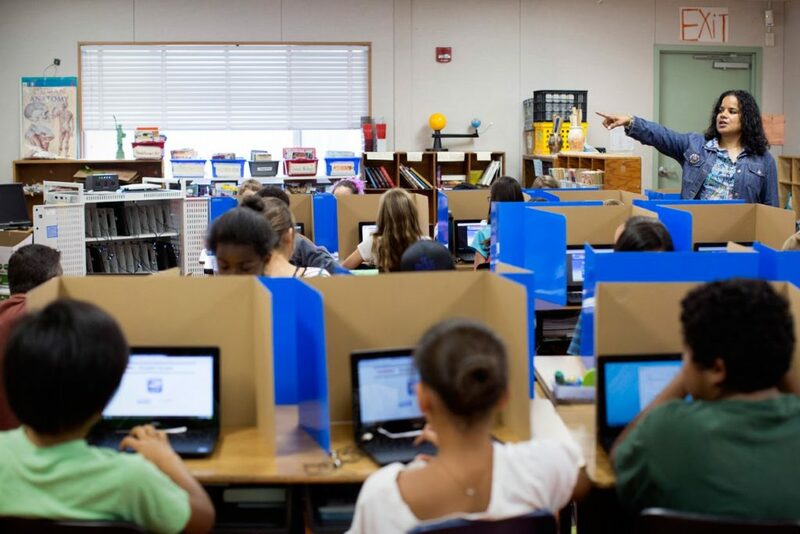 In Los Angeles Unified, membership dropped from 90.4 percent of 35,264 credentialed teachers to 88.4 percent of 35,735 teachers as of Nov. 1, according to district records. School districts, which reported the numbers from payroll information, could not say whether dues contracts had prevented teachers from disenrolling. At unions’ urging, the Legislature quietly passed legislation in 2017 transferring oversight of membership and enrollment issues from districts to unions. That’s also why the National Right to Work Legal Defense Foundation included L.A. Unified and the state as defendants in Irene Seager’s lawsuit. Neither can abdicate its obligation to protect teachers’ constitutional rights, attorney Messenger said. Juran said the Janus-related lawsuits against the CTA have been consolidated and will have a first hearing in late March in federal district court in Los Angeles. Acknowledging that it may have confused Few on the anniversary of his dues contract, UTLA did reimburse him $433 in November for dues collected since June. But the California Policy Center is pursuing the lawsuit because of the larger issues that it raised, said CEO Mark Bucher. I wonder if prorating a dues reduction for January to help ameliorate the 3.43% age loss due to the seven unpaid days of the strike would help members opt into, rather than out of, the Union? We will definitely need those members when we have to fight and possibly strike for our salary and health care benefits yet again when they are up for renegotiation next January 1, 2020. I’ve wondered about this, and the union contracts signed years ago. What if a teacher did not sign one of these recommitment forms and then attempted to withdraw from their union, would a decades old signature before a Supreme Court decision be binding? Would the unions be required to give them an opportunity to leave, then rebind them? or Would it be binding under contract law…if so could someone argue compulsion under the old system? This isn’t to argue the morality of joining a union, I am a union member, and don’t see leaving any time soon. These are just questions that pop in my head as I read these articles.